This table runner looks as it has twisted ribbons running through it but it is so much more simpler than that. 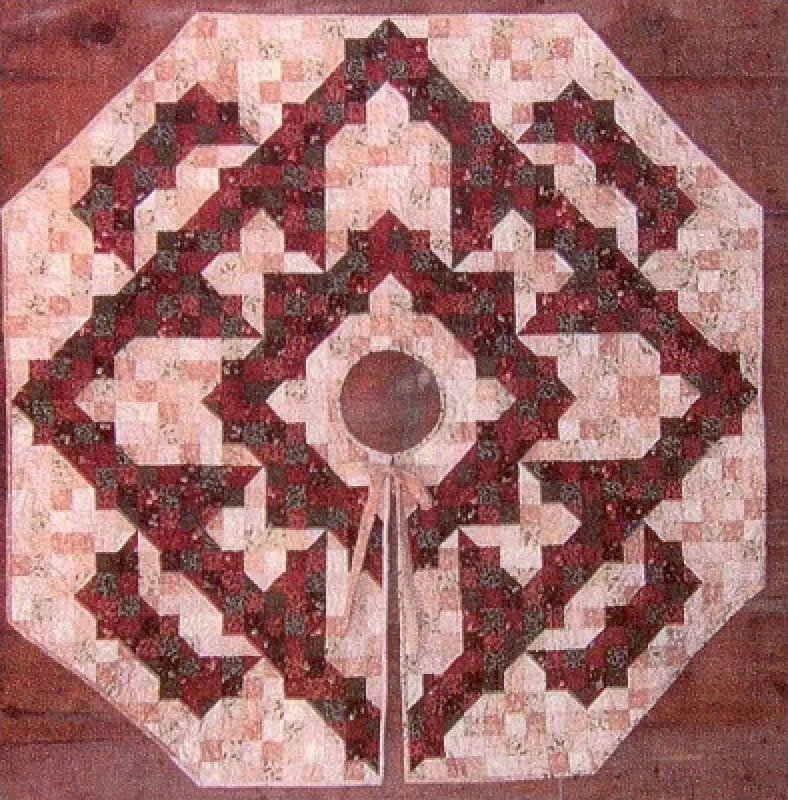 You use the Double Diamond Ruler by Bright Quilting Notions sold separately to make the ribbons. 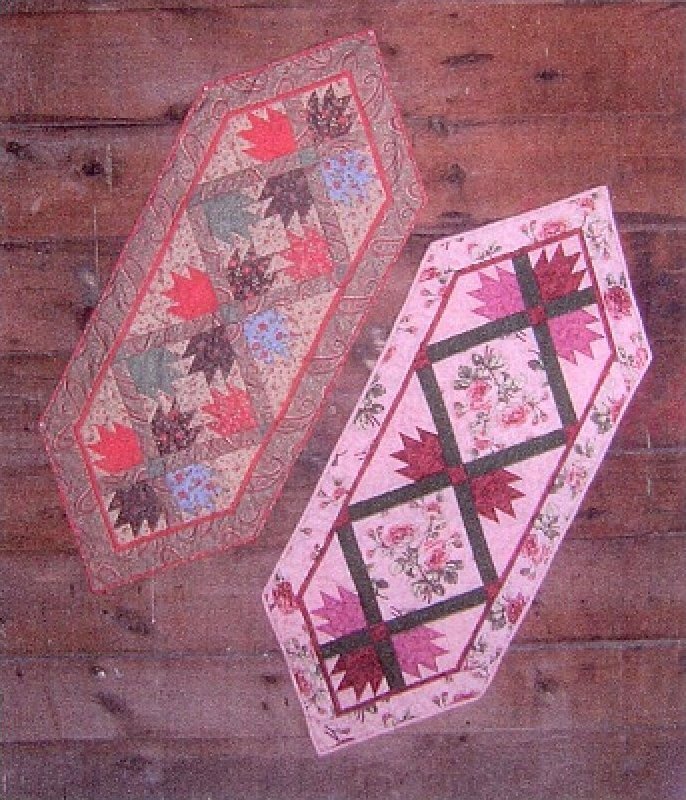 The runner is 20" x 50"
Quick table runner using the Double Diamond Ruler. About 20" by 40". 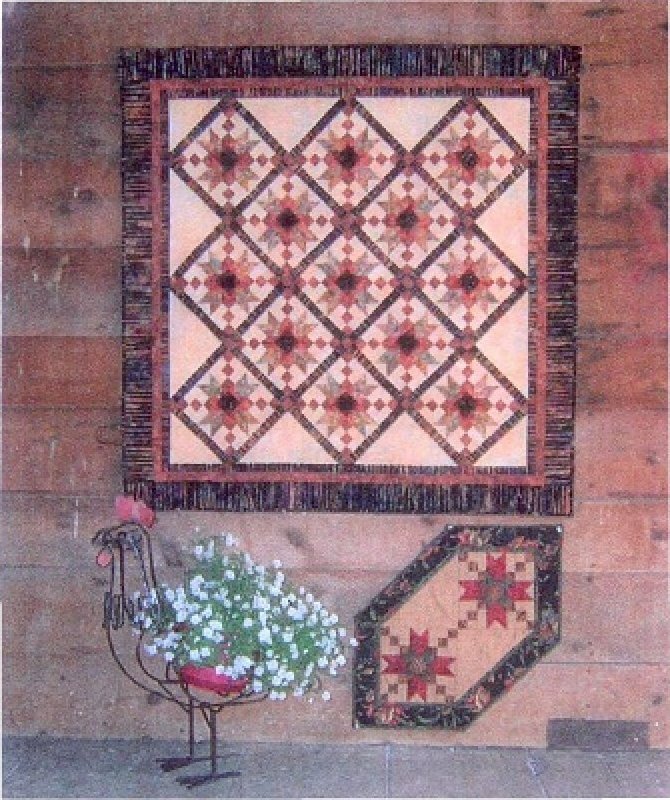 CWD08-Broken Arrow is 48" x 48" plus it also has a small tablerunner included. This hanging is not difficult but it not for a beginner. CWD10-Christmas Tree Skirt is about 54" across. It is made up of nine patches. 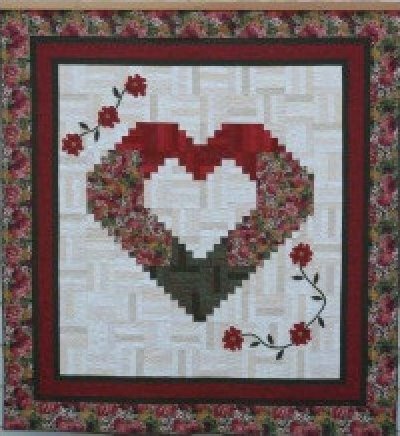 CWD04-Contrary Wife is our signature block. 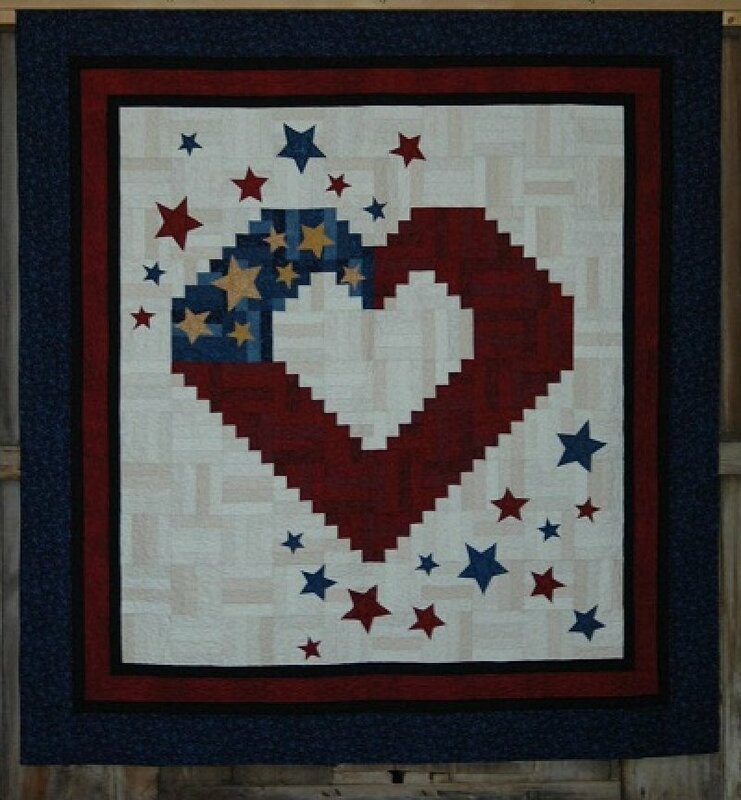 We have this block painted on the floor of the shop and also a Barn Quilt. We used 885 Toast by Hoffman for the background and 1895 Bali's for the stars. 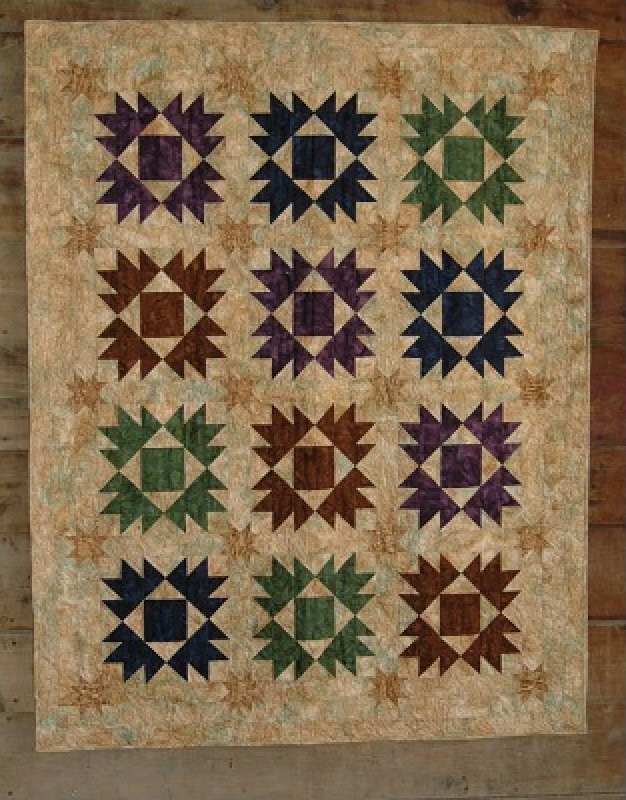 About 52"x 60"
CWD09-Line Dance is strip pieced, then cut with your regular using the 45^ angle line. No special ruler needed. Size is about 64" x 64". My Love of flowers is similar to My Country Tis of Thee, it uses the rail fence and half log cabin blocks. Size is about 84" x 90". 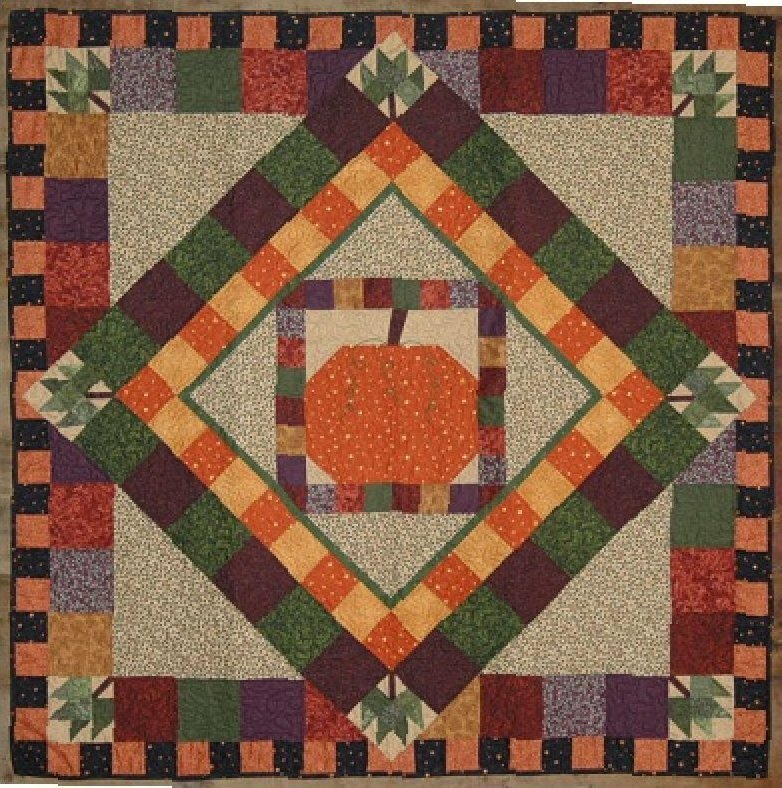 CWD07-The pumpkin is pieced and then done as a round robin style. 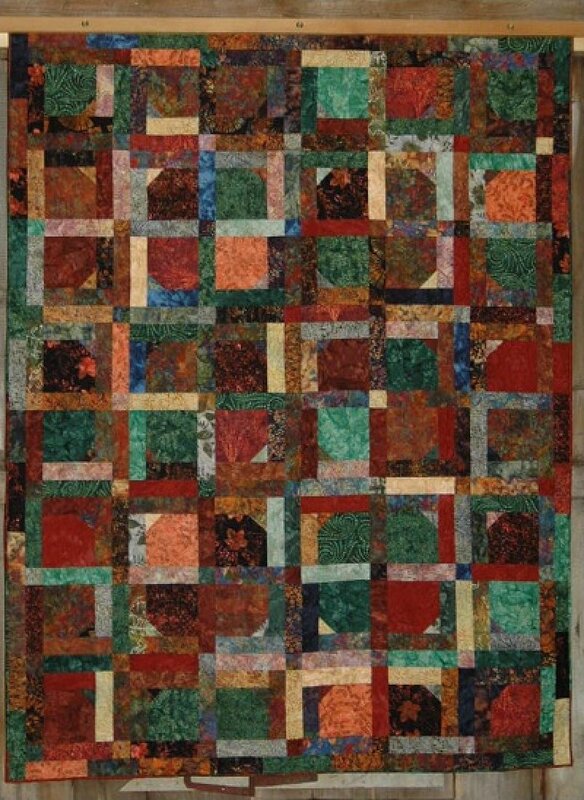 The quilt is approximately 52" x 52". 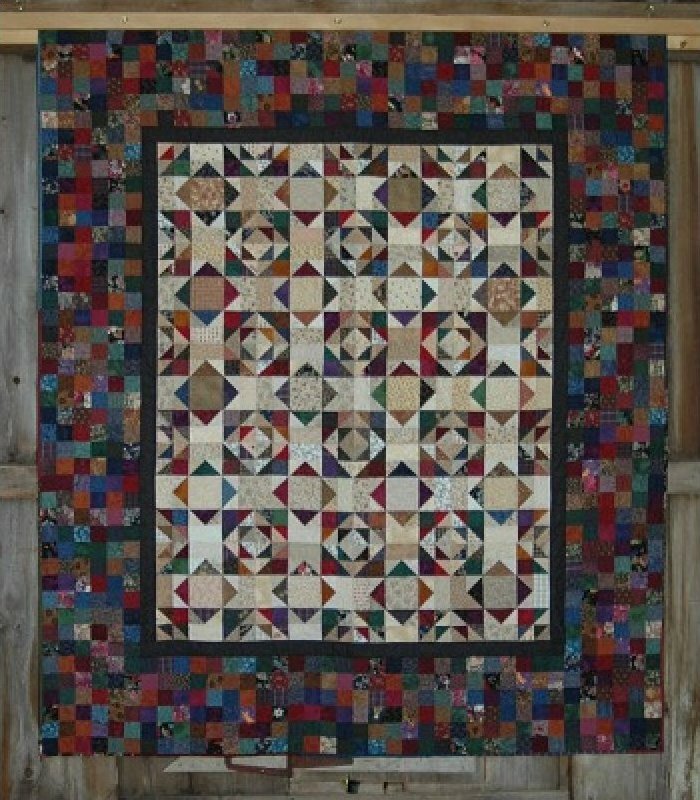 CWD19-Rolly Poly is made from a Hoffman Bali Pop or forty 2 1/2" strips and one Hoffman Fat Quarter bundle or 14 fat quarters. 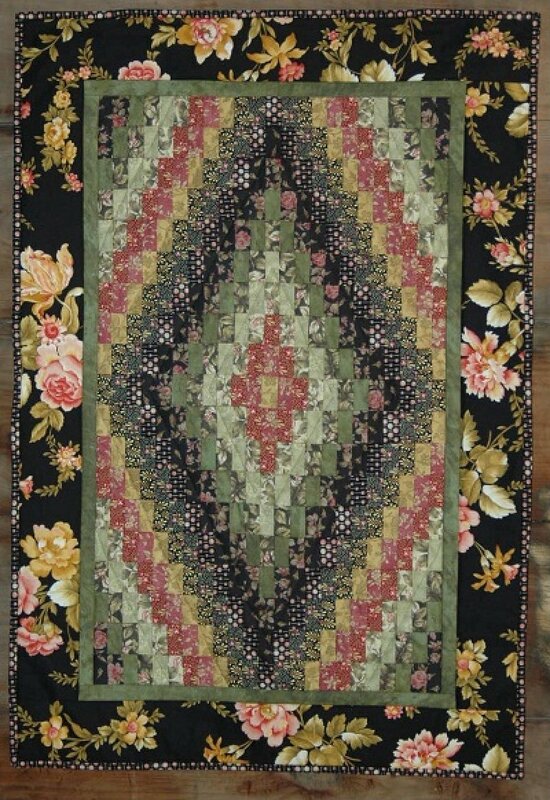 CWD06-Seminole Table Runner-20" x 51". 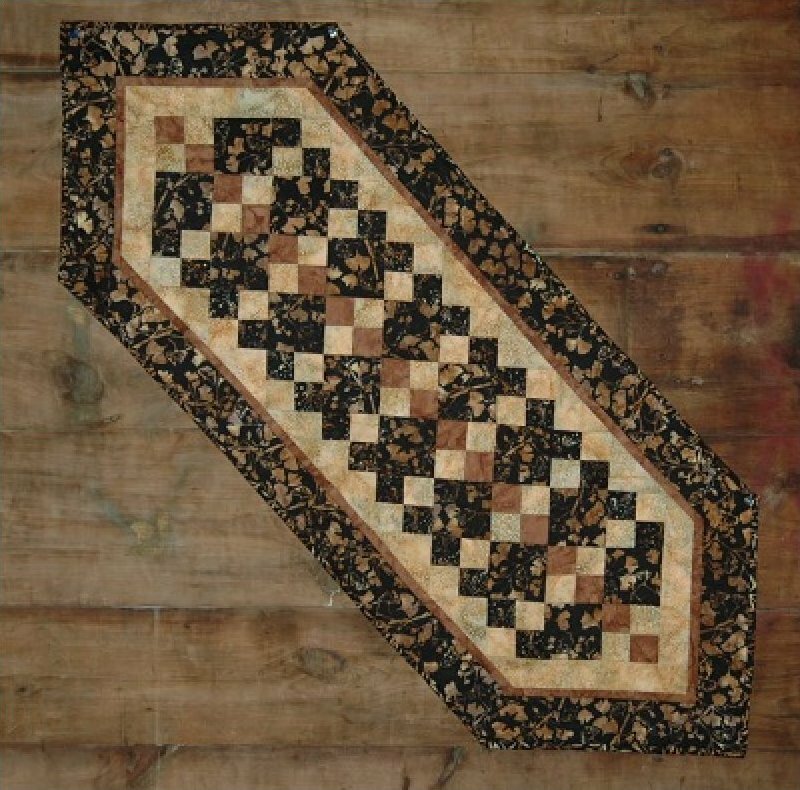 This table runner is done using four patches and squares. CWD14-Summer Winds is a stash buster. It uses 2 1/2" strips, and 2" finished triangles. 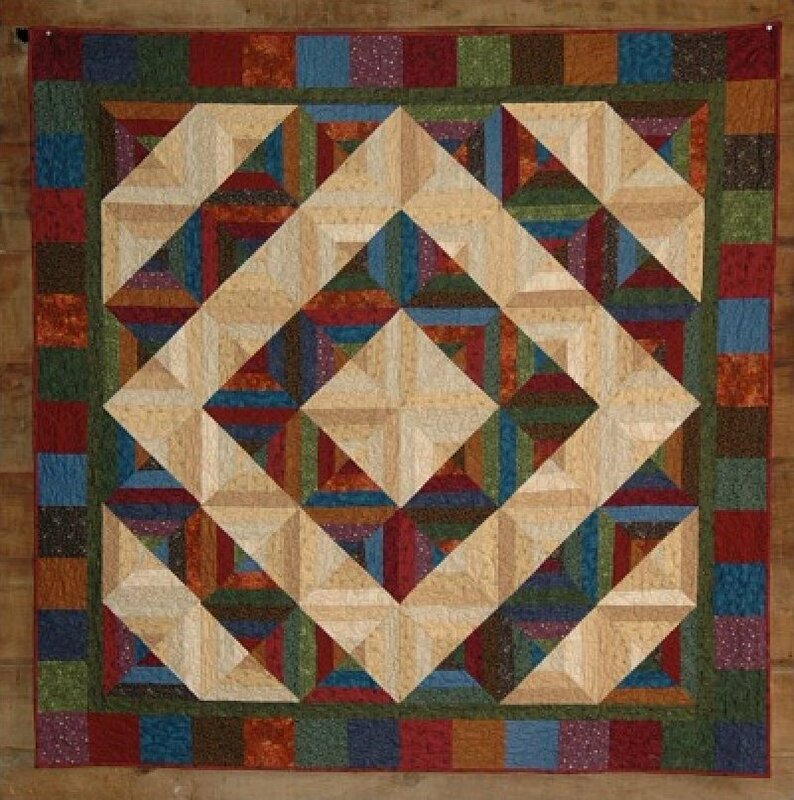 Use your 2 1/2' Strips and Thangles to make your half square triangles. CWD05-Take a Long Trip is approxiamently 27" x 36". 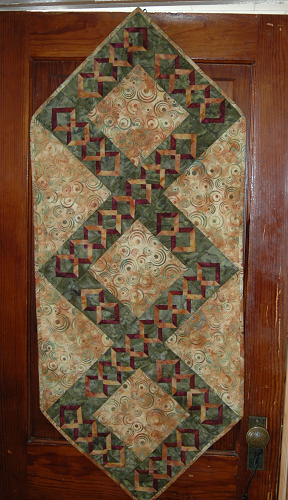 The wallhanging is strip pieced using 12 different fabrics.